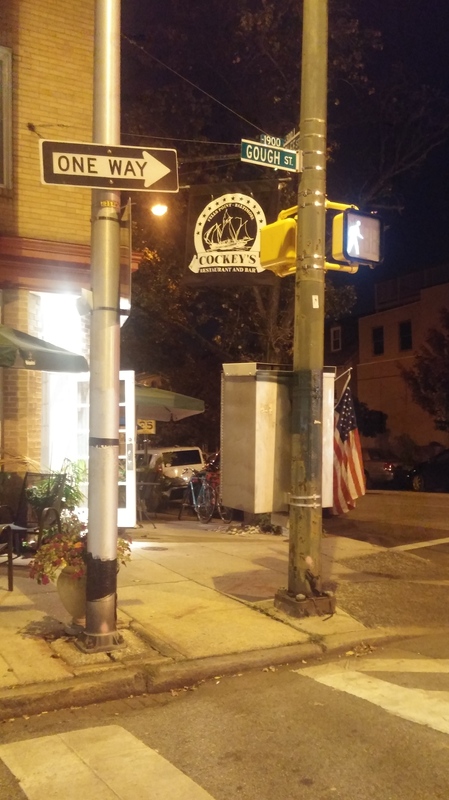 Last month I was passing through Arlington, VA and had stumbled upon the ever-so-charming Westover neighborhood. 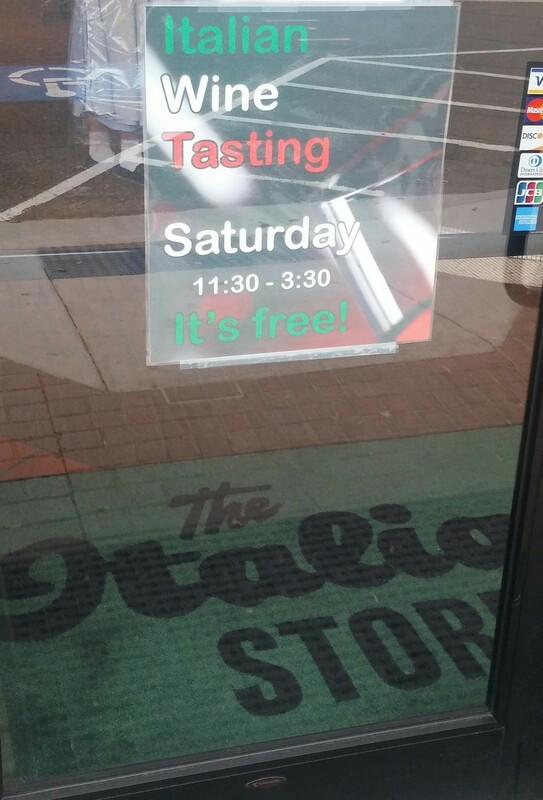 I had no idea The Italian Store was here. 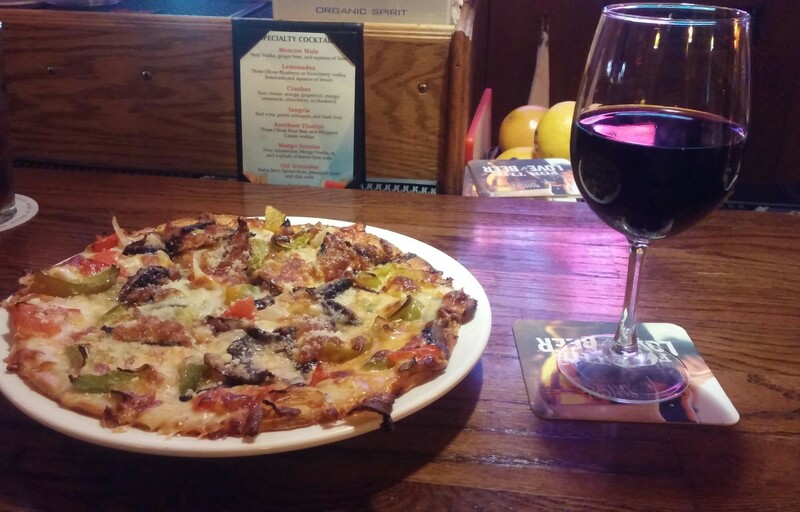 A couple of folks had mentioned how great their pizza was and that I should write about it when I got the chance. Well fate, destiny, and all that other inspirational stuff has reared its beautiful head again. 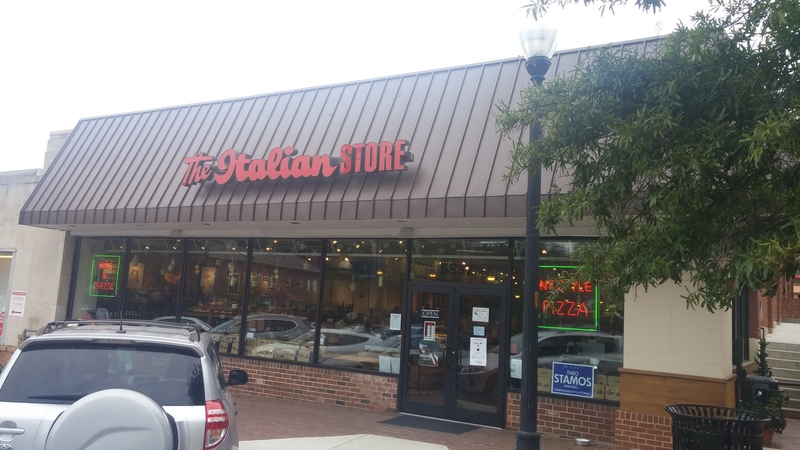 While doing some research I realized that this was their second and just recently opened location. And by recent I mean within the past five months. If I didn’t inquire I would have never known. The surrounding shops and streets look so authentic and historic that the store fits in perfectly. As soon I walked in I knew I was visiting something special and that to fully appreciate it, I would need a lot of time. 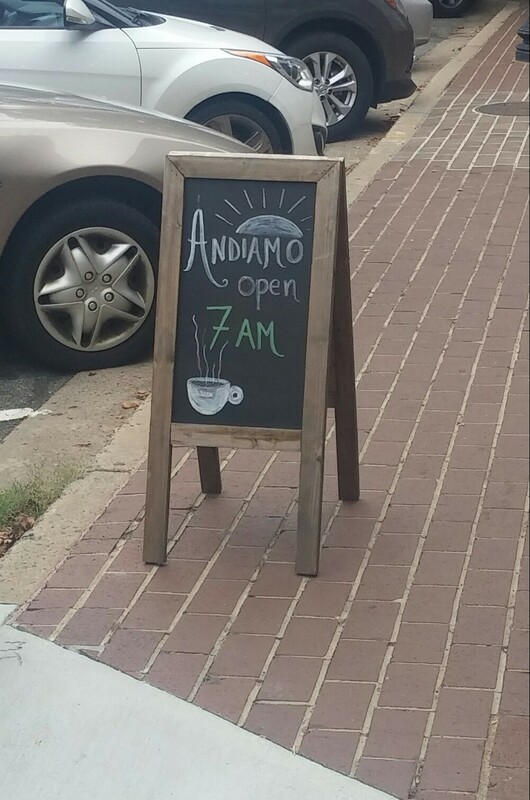 And I will need to visit their original location. Before I looked up information about these folks, I could tell that they were rich in history and had a very strong following. The energy inside was booming and permeating. 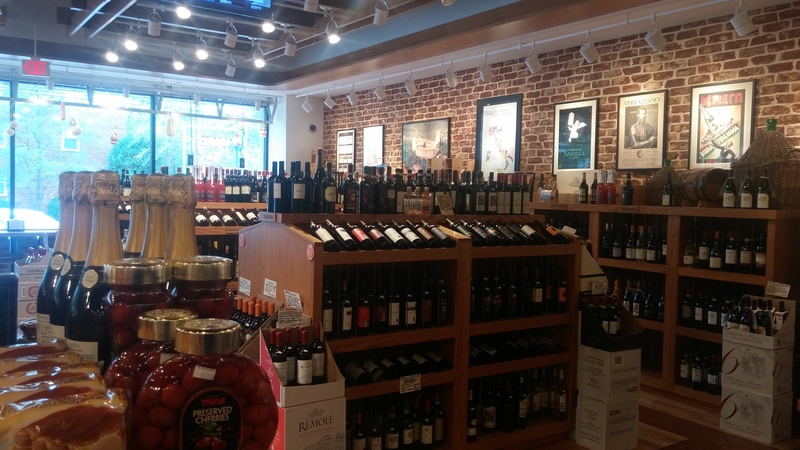 I had a great feeling walking around and checking out their wine selection, groceries, breads, pastries, delicatessen, and a whole slew of other provisions. Most important of all, the staff seemed friendly and caring about what was going on. I hadn’t even ordered my pizza slices and I realized I was in here for a good 30 minutes appreciating how massive this spot was. 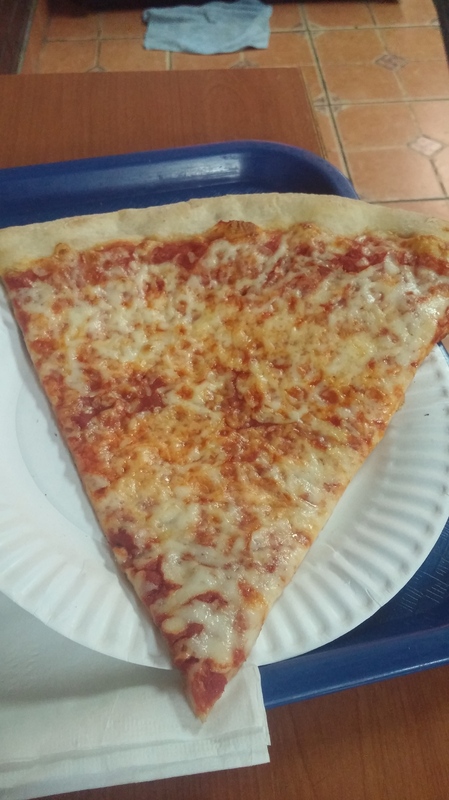 I ordered three slices and I could have ordered more. There were so many to choose from and a few out-of-the-ordinary. That only means I’ll be back and I was already coming back anyways. 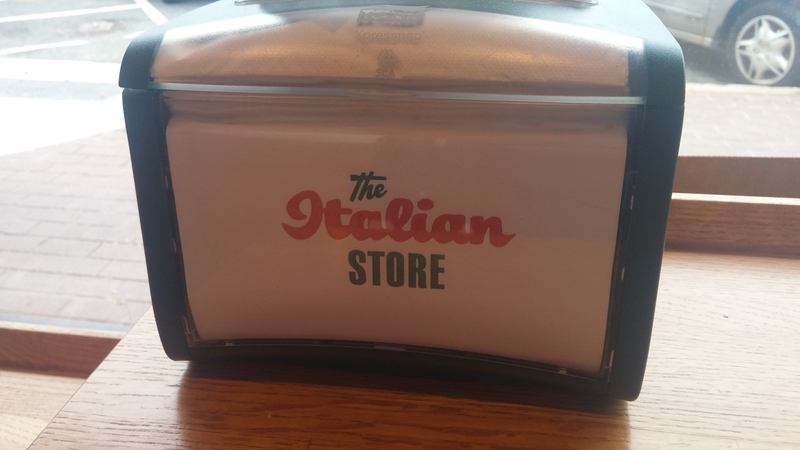 Their personalized napkin holders sold me before anything else! 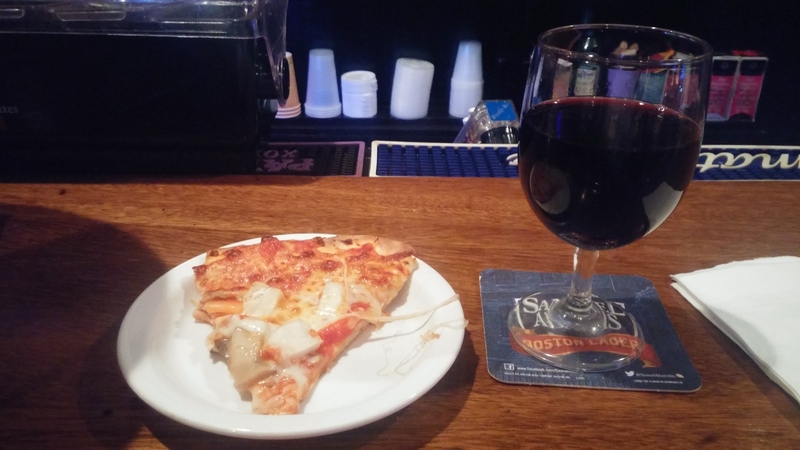 I know I was very generous in the praise of the shoppe (and it’s justified) and all the good vibes that came from it, but this did not entirely translate into the pizza. I ordered a cheese, pepperoni, and a vegetable. I wanted to keep it simple today. I’ll go in the order that I just listed above. The cheese was my least favorite. It was good but it was missing some pop. 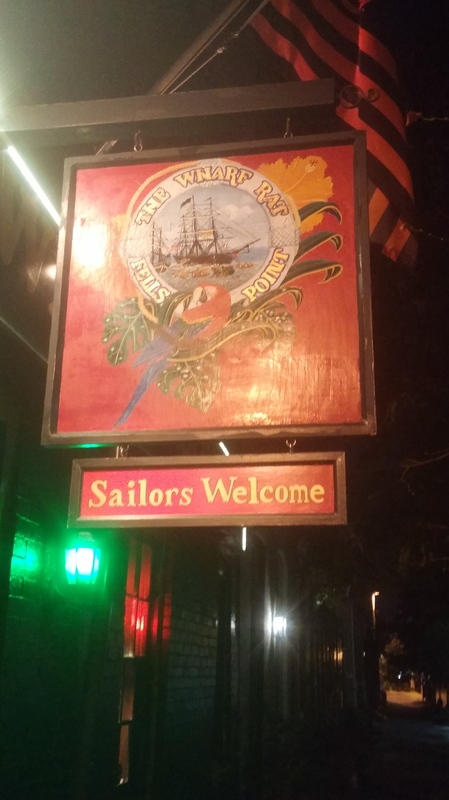 I can’t explain it but maybe I was expecting more from such an establishment. 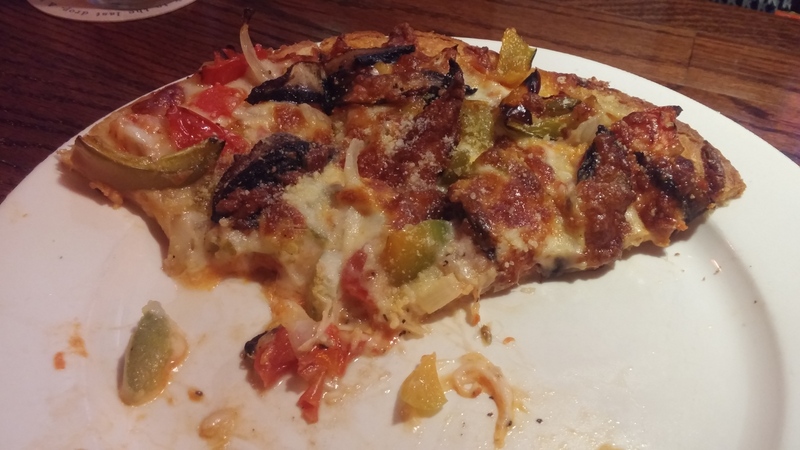 The crust was good and it was easy to eat. But it just didn’t wow me. I don’t know if it had been sitting out too long and might have been reheated one too many times. That was my first reaction when eating it. 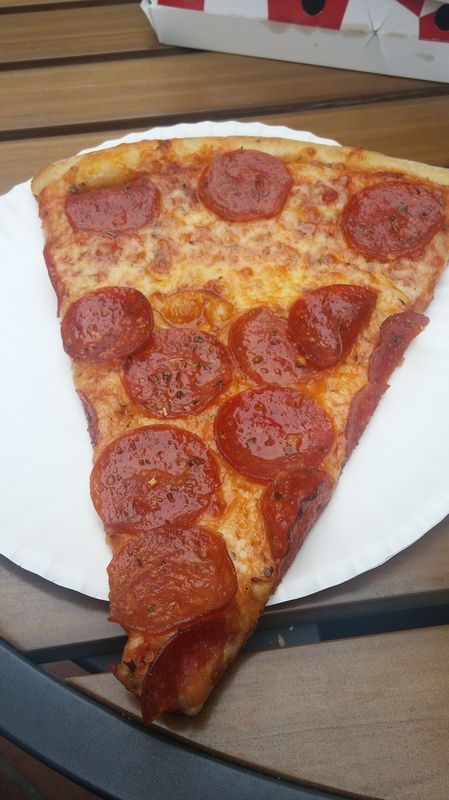 The pepperoni was a little better and seemed to have more cheese than the aforementioned slice above. 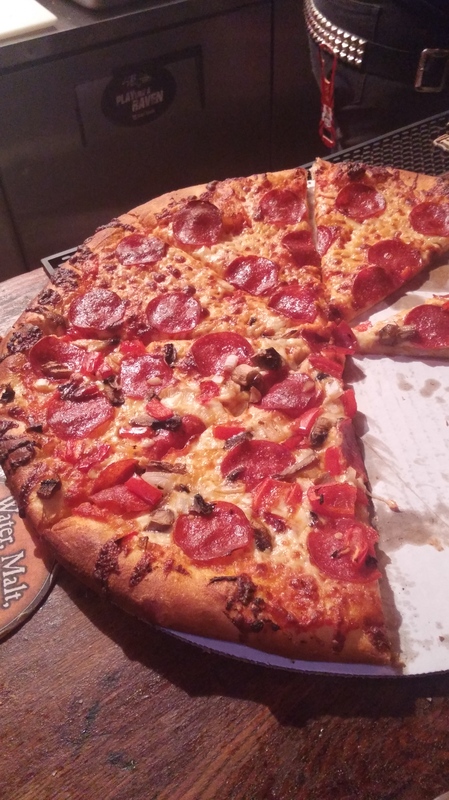 This seemed thicker and the pepperoni itself tasted authentic. I’ve stated before that I’m not a huge fan of red meat on my pie but this was pretty good. But again, it wasn’t incredible. Did I set my expectations too high? Did I allow the heavy praise from a few of my pals lead to a bit of a letdown? It’s possible. 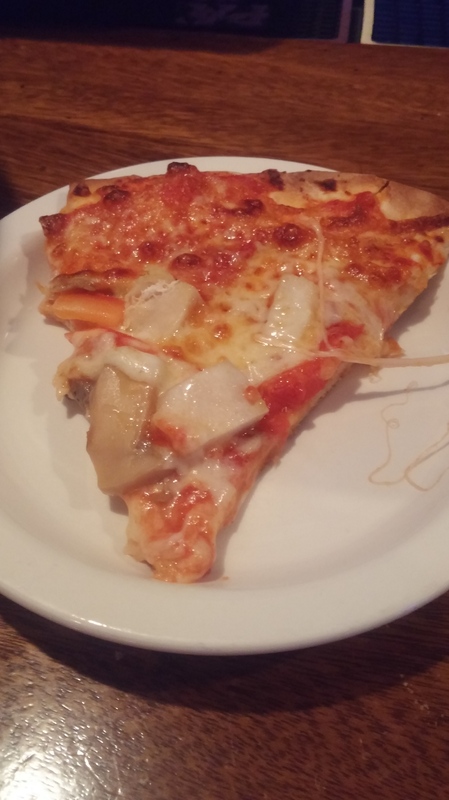 The vegetable slice was the big winner. 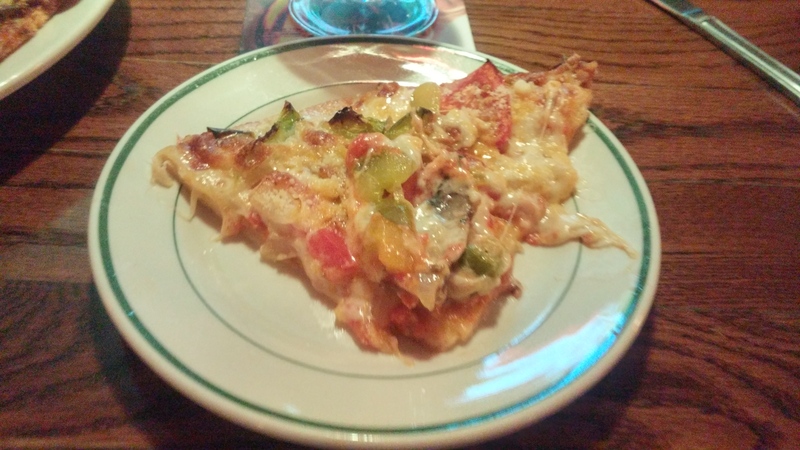 It was loaded and loaded with all kinds of fresh toppings. I think the picture speaks for itself. I’m salivating at the thought of it as I write another one. 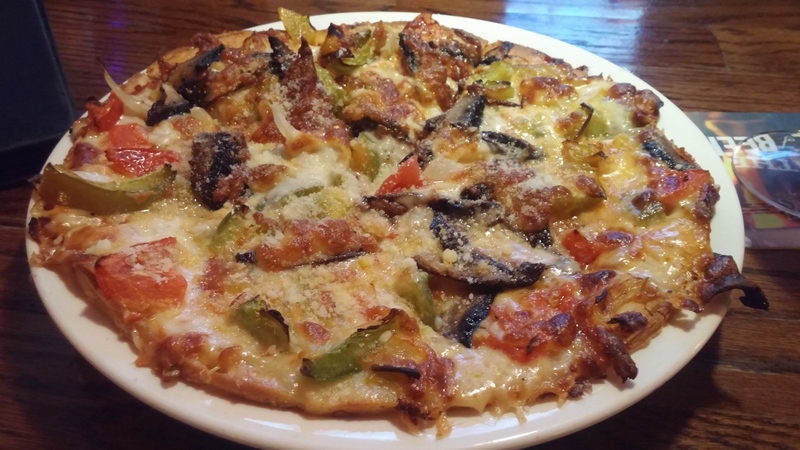 The cheese, crust, and vegetables really comes together on this one. This was a great slice and tells me that they’re capable of so much more than the previous two. The outdoor dining area was very cozy and peaceful. I enjoyed myself. I deliberately wrote about the veggie last to end this on a high note. 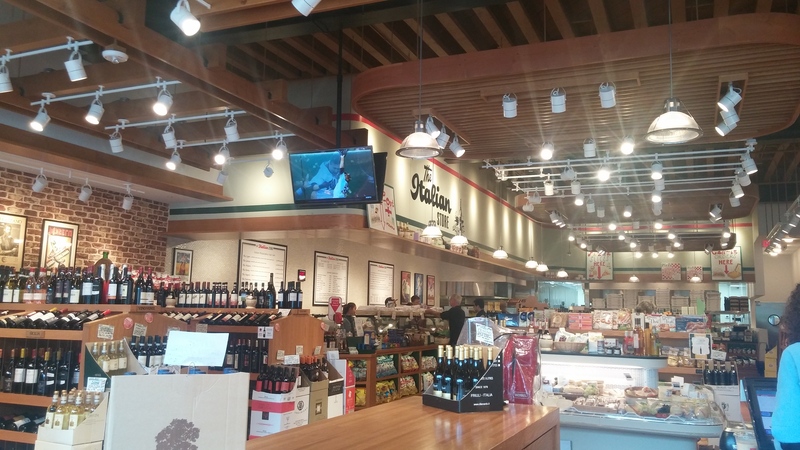 The Italian Store has such a liveliness that I know translated into wonderful eats. The next time I will write about them will be from their original location. And I can’t wait. These photos have only begun to scratch the surface. 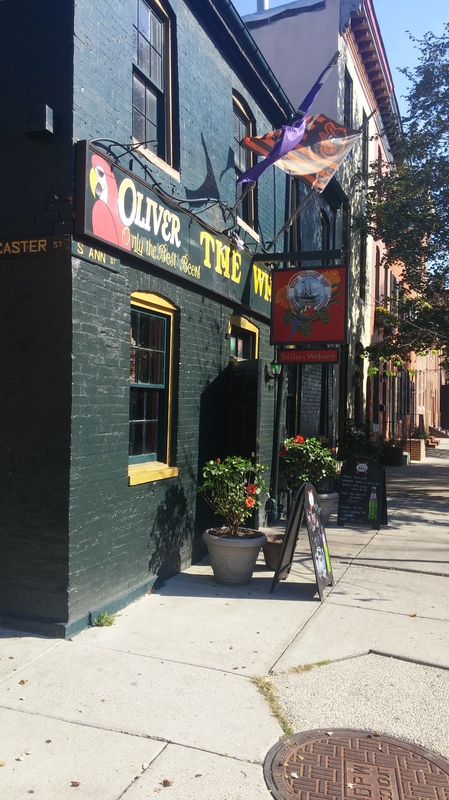 The Fells Point Festival Version 2.0 is now only a week away. And the pizza party has taken a detour and we are making some new moves! 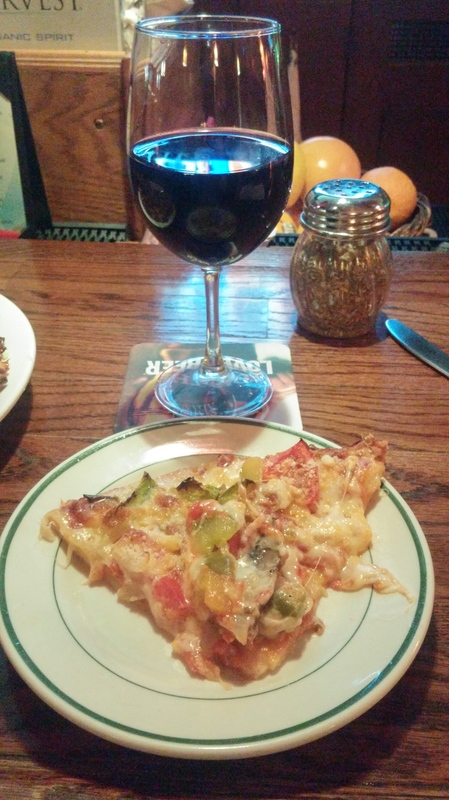 This post is about what I ate last night. Sounds like a normal thing to write about. But this is what makes blogging so fun. The dining establishment I’m expounding on today was nowhere on my radar. It was suggested by a couple of friends. And away we go. 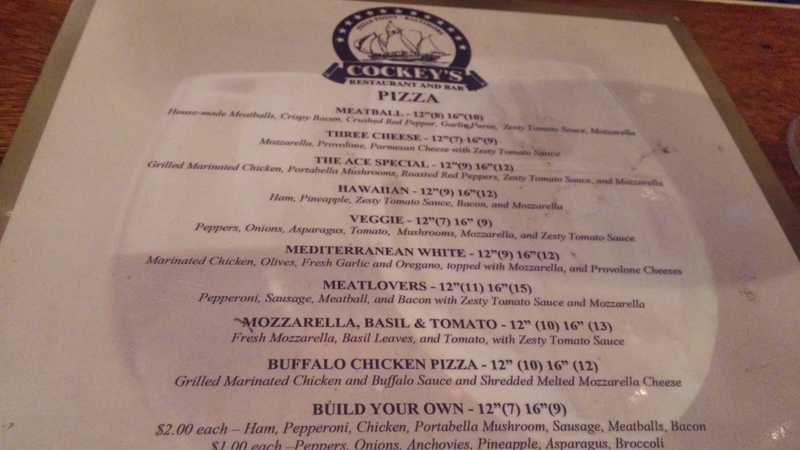 Cockey’s was nowhere on my radar. It was suggested to me by a couple of friends last night. And in the context of where these posts are going, I feel like this was the perfect place to write about for today. I took the inspirational several block walk from near the heart of the neighborhood to Upper Fells or Butchers Hill. 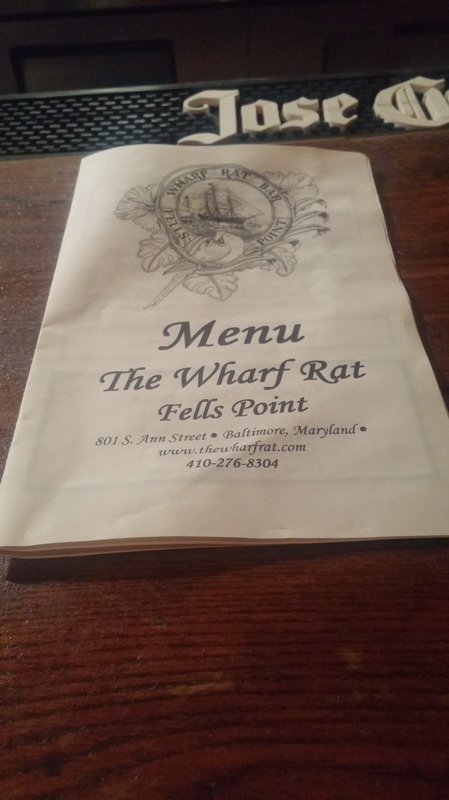 Since the website states Cockey’s Fells Point, I think I am ok. I had only been here once before and really liked the atmosphere. 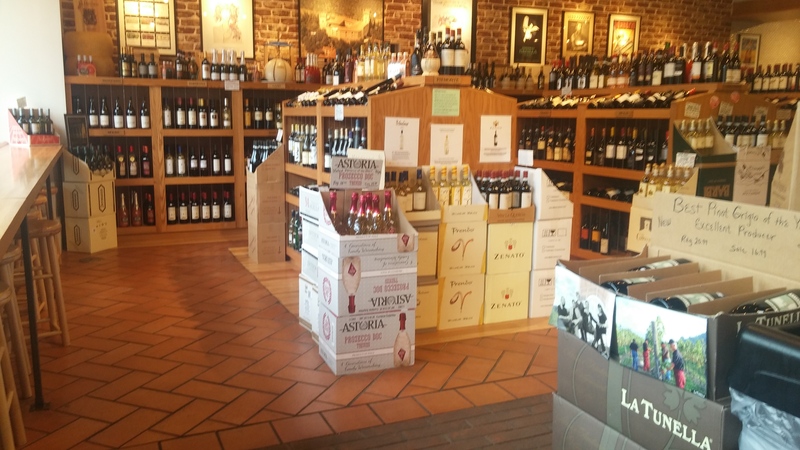 The interior is beautiful, the staff is friendly, there’s a nice outdoor dining area, and they have a good wine list. 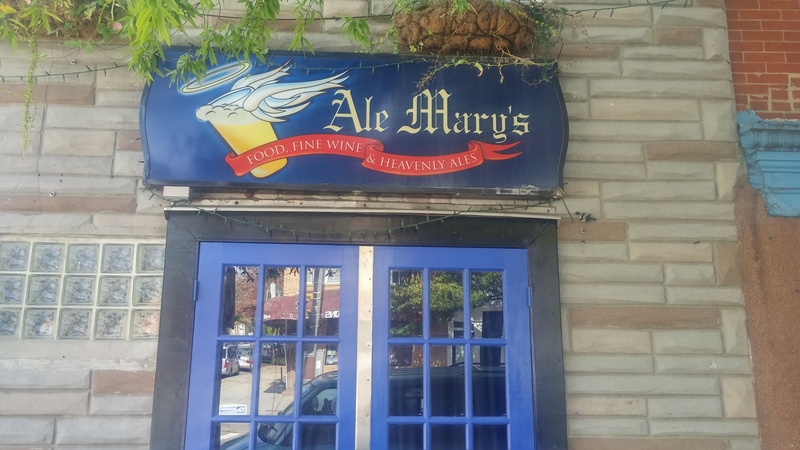 The place has been open less than two years and a lot of the locals seems to enjoy it. 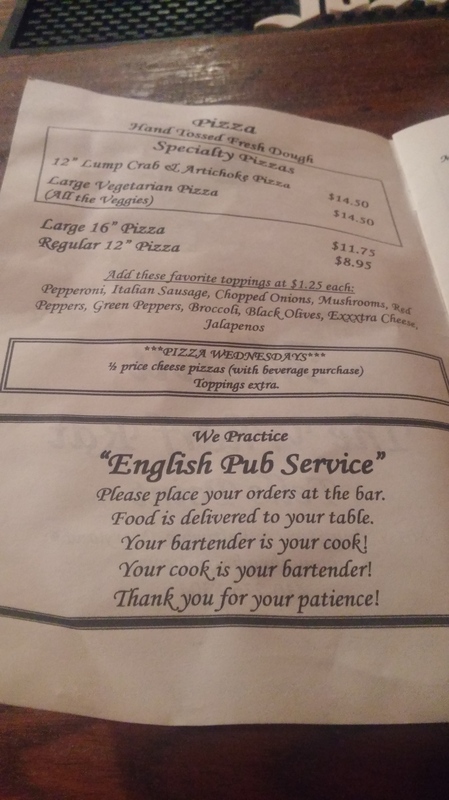 While going over the menu, I saw a lot of other meals I was interesting in getting. 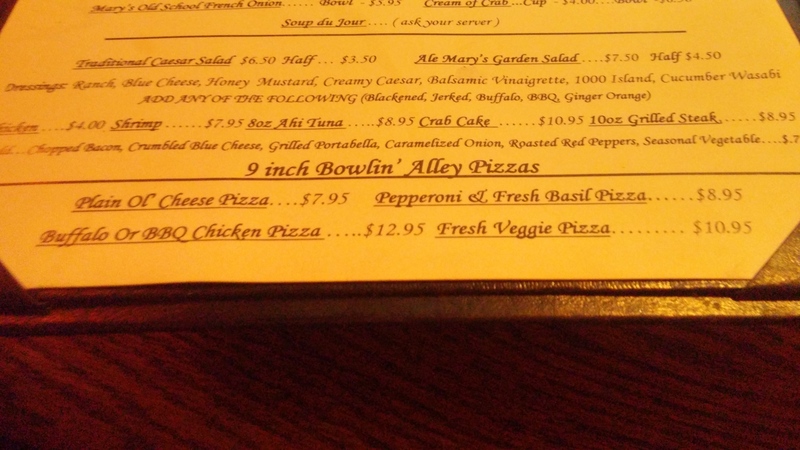 But pizza is the name of the game, and I ordered the Ace Special. I ordered this simply because the name stood out and I was in the mood for portabella mushrooms. 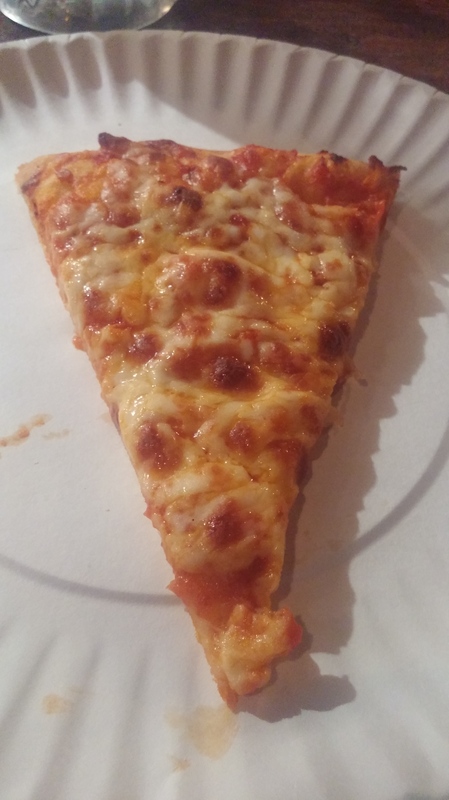 When they brought the pizza out, I noticed it was cut awkwardly. 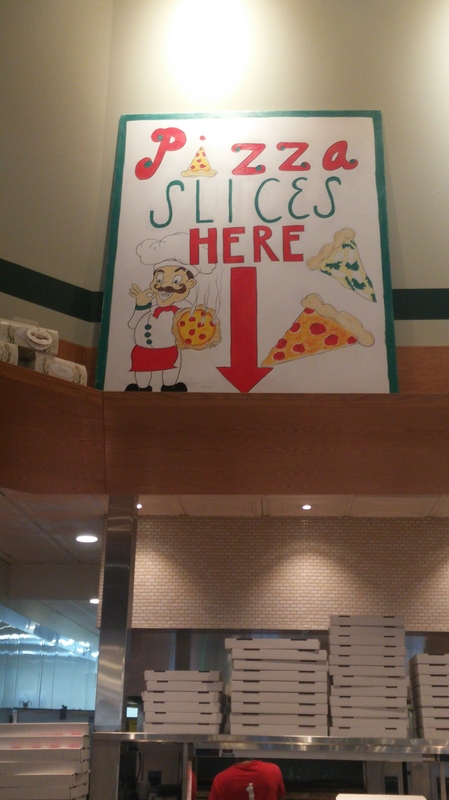 If the pizza tastes good, I wouldn’t think anything of that. 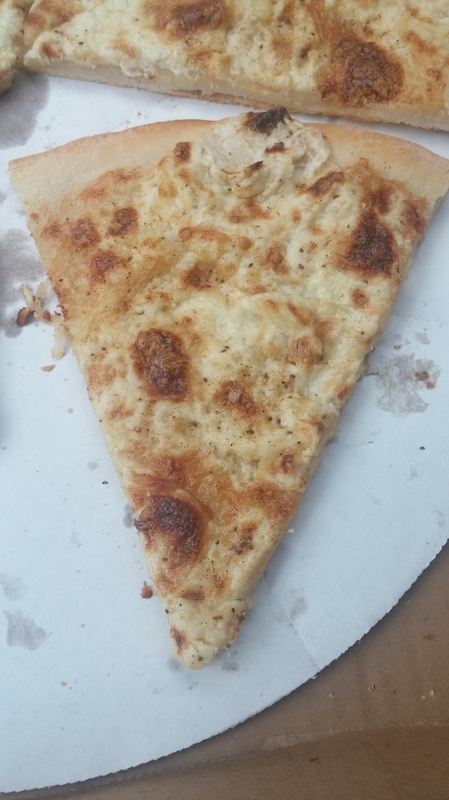 But, I sensed the way it was uneven has to do with how hard the crust was to eat in certain places. Some of it felt a bit overcooked and I had a hard time biting into my mini slices. The tiny cuts are always a nice touch by the way. It just felt rough on my teeth at times. 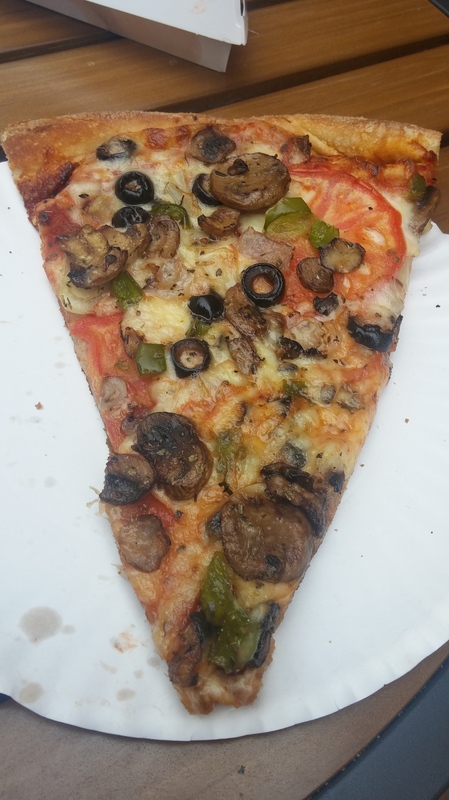 The toppings were very good. 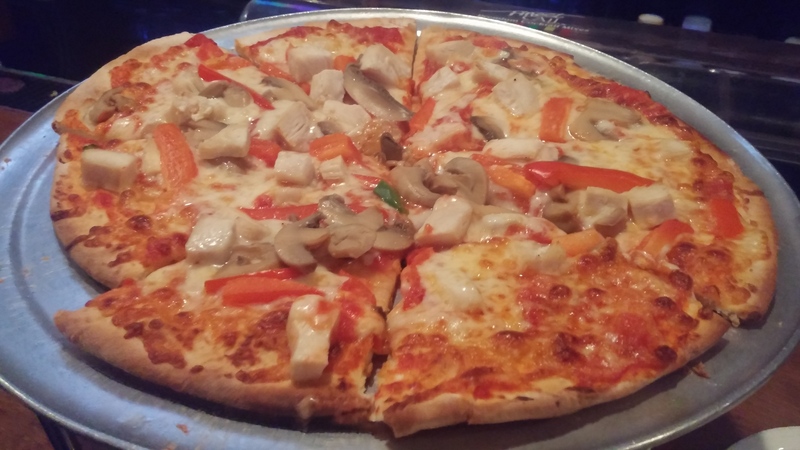 I liked the cheese, sauce, diced chicken, mushrooms, and red peppers. This is a simple yet tremendous mix of cheese, protein, and vegetables. I just wish the crust was cooked a bit more evenly. It was a distraction. It didn’t detract entirely from the pie, but I was more perplexed than anything. 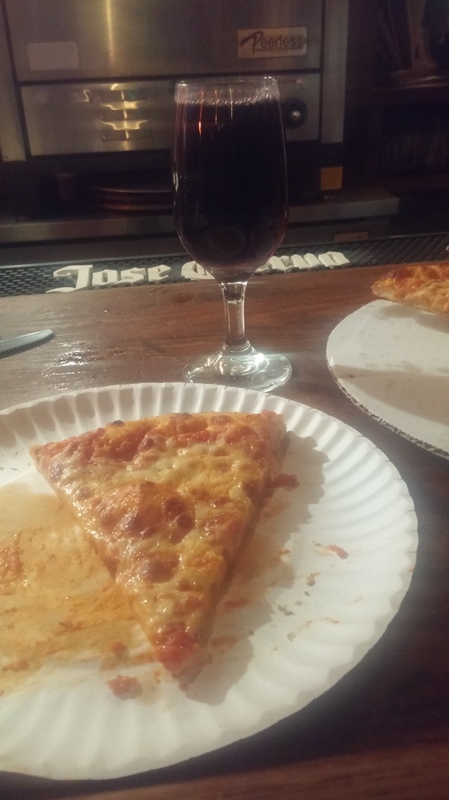 My wine was very good and complemented the pizza well. Nevertheless, I will come back again I will gladly get another pie or maybe something else that looks like it could be scrumptious. Since it’s a fairly new restaurant and so much work seems to have been put into it, I want this place to flourish. There is a charming feel and energy surrounding the whole place. 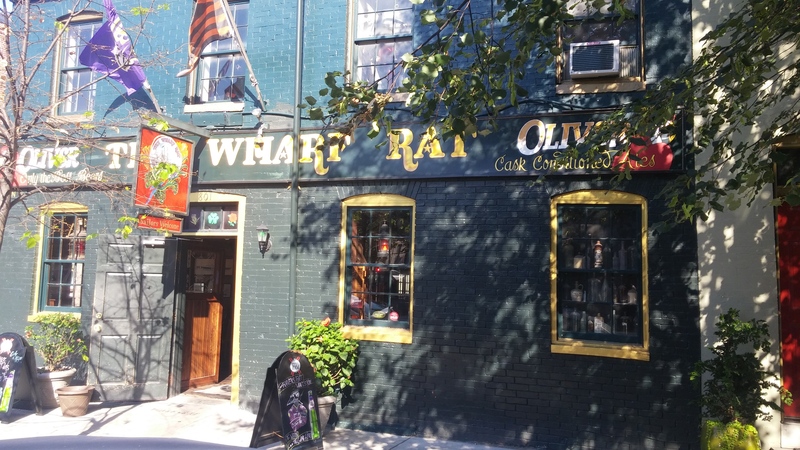 This has the look and feel of what Fells Point is really all about; cozy, quaint, and approachable. 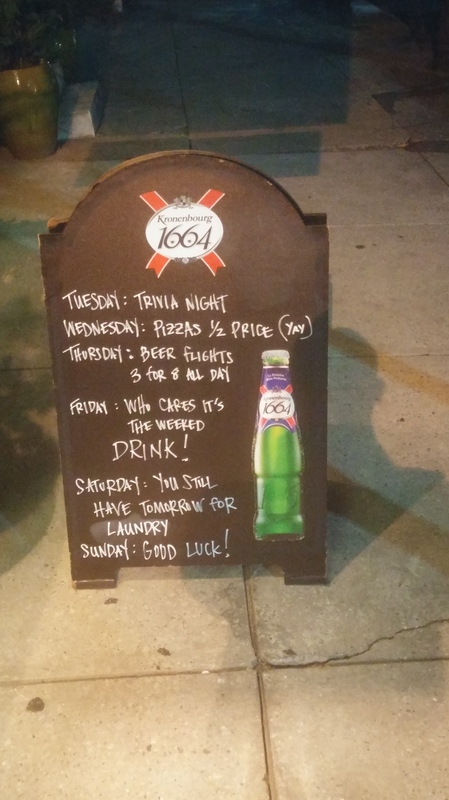 I had intended to do a Fells Point related pizza post in conjunction with and leading up to the Fells Point Fun Festival. That was supposed to take place last weekend. The universe had other plans and we’ll see you in two weeks. But the neighborhood posts will keep on coming leading up to the event. My post from last week was meant to be the revealed on the weekend of the event, but I have adjusted accordingly. I am prepared for the challenge of finding spots that are hopefully informative and do the area justice. 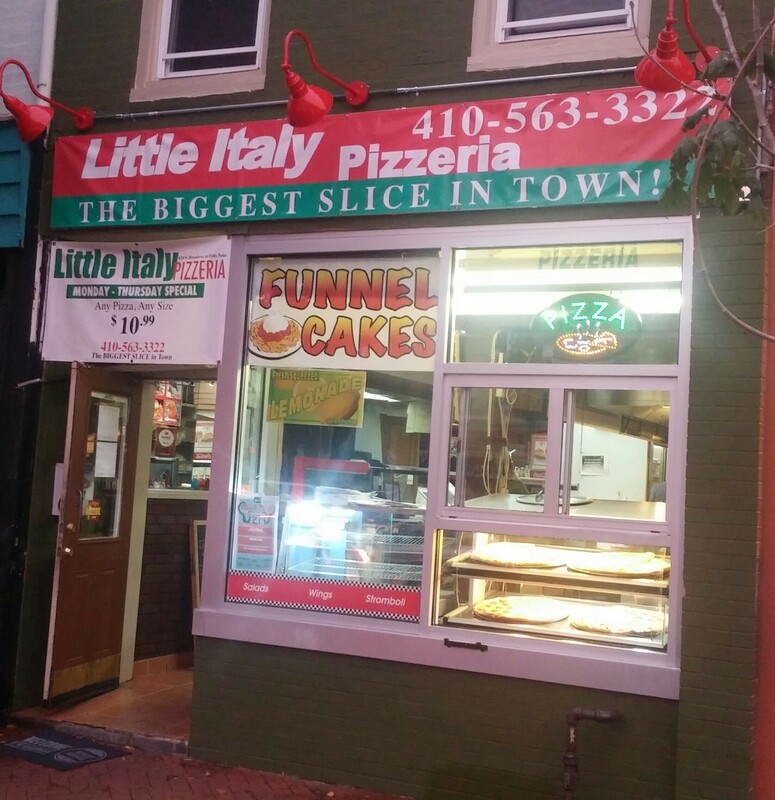 This week brings me to Little Italy Pizzeria, which is right off the heart of Fells Point. That picture I took makes the place seem very authentic right? Well that’s where it ends. 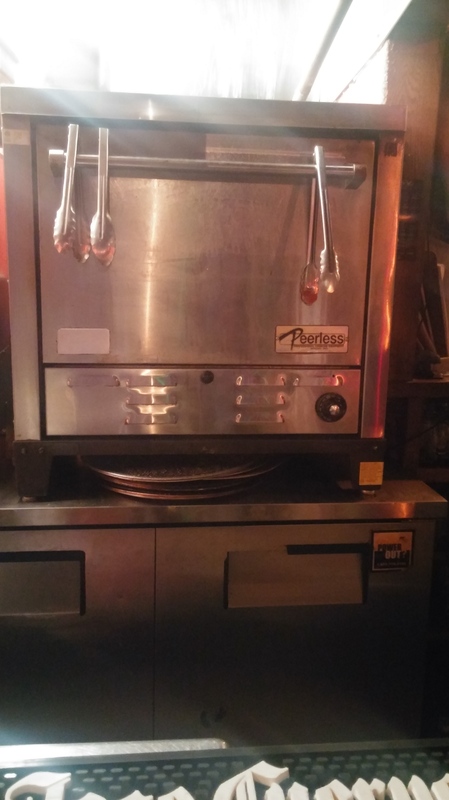 This pizza parlor suffers from the same issues, in my opinion, as Brick Oven Pizza which I wrote about two weeks ago. 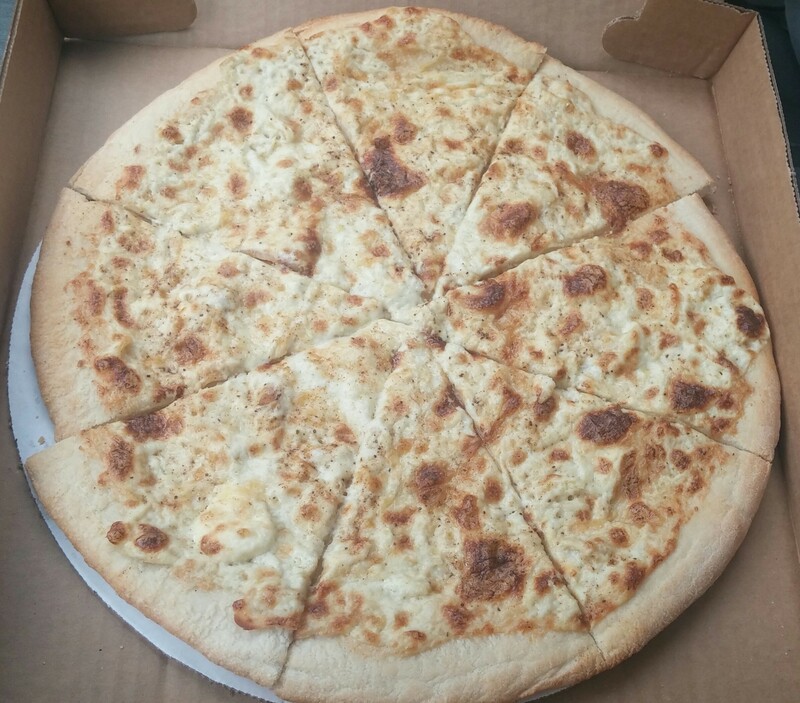 Up until five years ago I would’ve said this pizza tasted great during the day, at night, by the slice, or a grabbing a whole pie to go. It wasn’t fine craftsmanship but it was guaranteed to be a good pie that would do its job. And sometimes that’s all you’re looking for. Now the last few times I’ve ordered from them the crust, dough, cheese, sauce, and toppings all seem so lifeless. There’s no feeling behind it. But it serves its purpose. 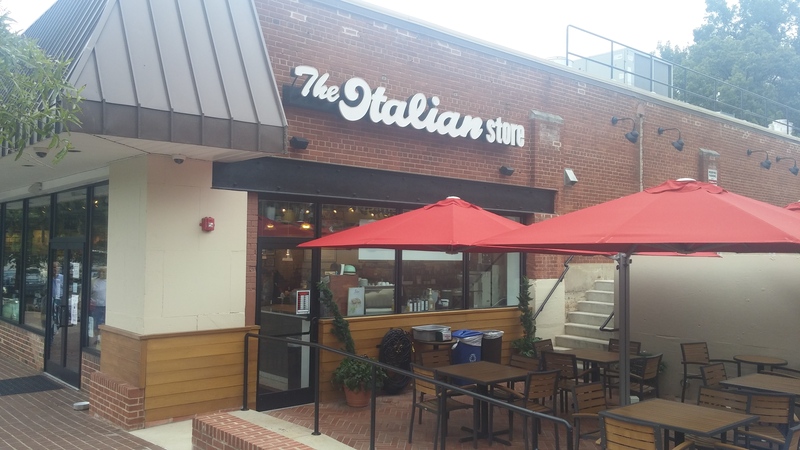 I used to always order a za from here day or night and feel like I’ve enjoyed something tasty. And my interest has waned to the point where this might be the last time I go for a while unless I’m desperate. 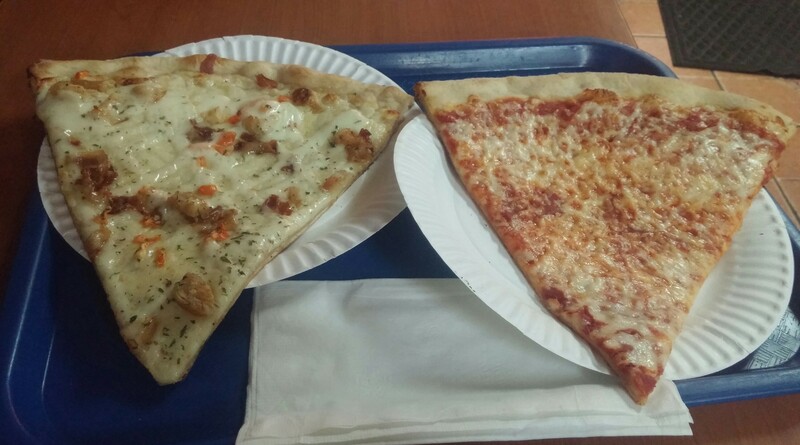 I will recap the two slices I got, on my most recent a little over a month ago. I’ll try to find the positives. 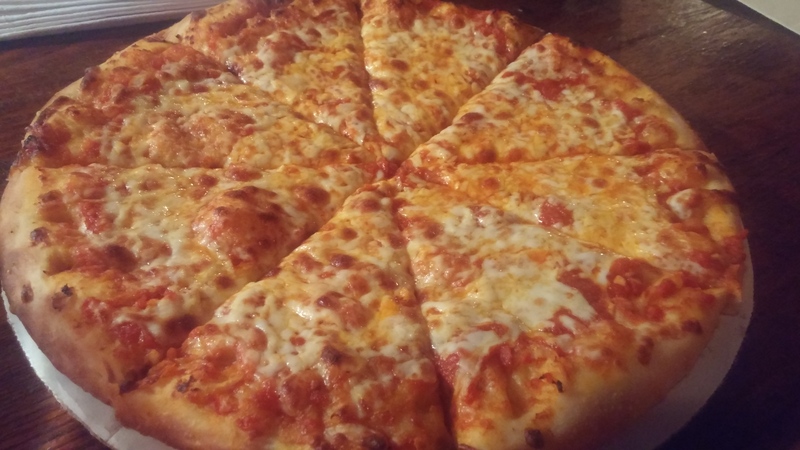 You know how when you see pictures of pizza you get hungry and get excited? Even bad pizza will do that to you. However, when looking at these photos I am turned off by them. There’s barely any cheese or sauce and that’s what I remember tasting. The crust tasted undercooked and a bit soft. Sometimes that’ll work but not here. I do realize I was eating around 8 or 9 pm so the quality may not be as high. 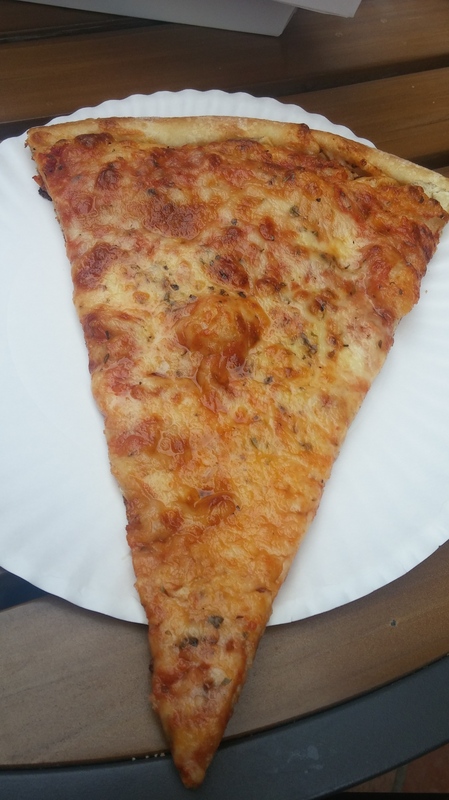 But I’ve had the same slice during the afternoon and it was just as mediocre. 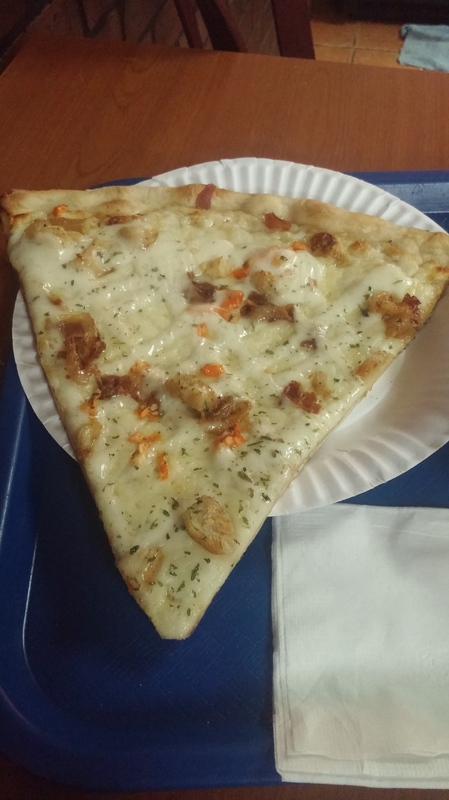 The bacon, chicken, and ranch didn’t taste fresh. The toppings seemed boring and just thrown on there. 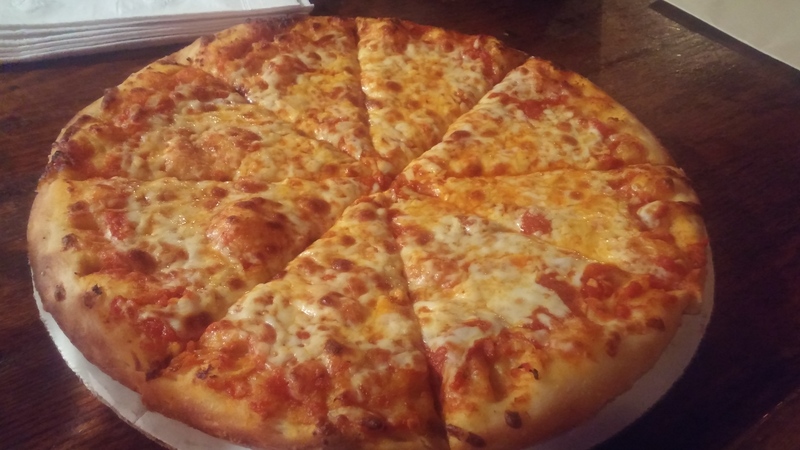 Even bad pizza could be good pizza but this doesn’t apply here. Even bacon which is hard to screw up, either tasted like it was past its sell by date or it wasn’t real bacon. I’d rate both of these below average. My hunch is that the business is just going through the motions. It can try to please everyone and change the quality of their pies at various times of the day, or just wing it throughout. I suspect they’re doing the latter. I can only assume why the caliber of their pizzas has dwindled. I remember barely eating half of either and feeling bad I had to throw them in the trash. The interior is narrow. There’s only a few sets of tables and chairs which is what I do like about it. 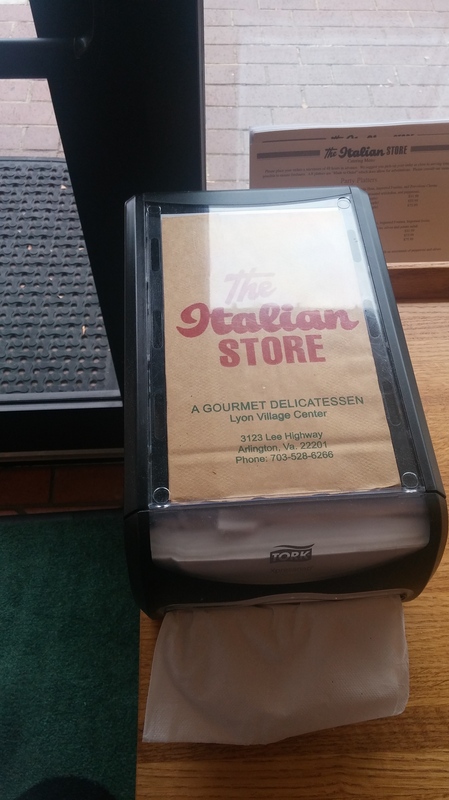 It’s a grab-and-go kind of place. I’d just use caution on the pizza. Lowered expectations would work here.